On November 8, the Wall Street Journal headlined “US Military Officials Aim to Bolster Troop Presence in Europe” – to deter a nonexistent Russian threat. Pentagon commanders “proposed sending more forces into Europe on a rotating basis to build up the American presence and are stepping up training exercises to counter potential Russian interference with troop transfers in the event of a crisis with Moscow,” said the Journal. Army chief of staff General Mark Milley said training is focusing on countering (nonexistent) Russian threats. “Aggression left unanswered is likely to lead to more aggression,” he blustered. 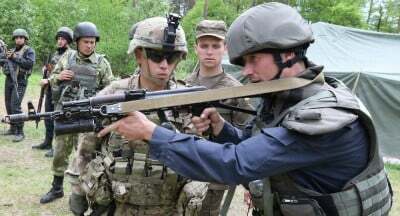 “NATO countries are discussing increasing the number of troops stationed in members bordering Russia and putting them under formal alliance command,” said the Journal. The next talks on that idea are likely to come in early December, when foreign ministers gather and begin discussing proposals to be formalized at a Warsaw summit in July. DOD officials and Pentagon commanders are especially hawkish. Russia bashing continues unabated. Breedlove claims cooperating with Moscow diplomatically means accepting its agenda in Ukraine. According to Breedlove, America may “have to fight our way across the Atlantic.” to deter Russia.